Servals Automation is working towards designing a 100% plant oil (non-edible oil) stove to replace Kerosene as a cooking fuel in rural India. 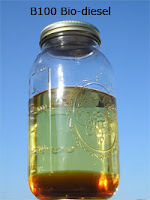 The fuel pursued is straight vegetable oil . There is no processing/refining involved. The key focus is to develop a renewable and sustainable energy alternative to replace kerosene as a cooking and lighting fuel. Servals’ Plant Oil Stove is a breakthrough technology that is a 'first-of-its-kind’ in the world initiative. Has the potential to create a series of economic activities around energy extraction and distribution. Nowadays fuels such as kerosene and wood are getting scarcer due to depletion of natural resources such as deforestation. Therefore the trend is to develop more sustainable solutions. In cooperation with Servals Automation, Fire4India developed an innovative cooking stove which burns on 100% crude plant oil and is able to burn on all different kinds of plant oil. The stove, specially designed for the BOP(Bottom-of-the-Pyramid) market; will create more independence by giving the possibility of extracting plant oil by the BOP people themselves. Servals Automation has developed a Hybrid dual tank stove that runs on kerosene and 25% plant oil. This stove will be useful where availability of plant oil is not assured (e.g) India. In such case, the stove can be used as regular kerosene stove. Although it allows the use of an alternative fuel, it does not provide the independence that a 100% plant oil stove would. We have a prototype of a 100% plant oil that burns continuously for a couple of hours and then tends to get clogged with carbon deposits. We are working towards improving the design so that it will burn consistently for 10 hours or more so a person could use it for a whole day before having to clean it. We have received technology assistance from Rockefeller Foundation. After this, it has to be field tested. Write to us. We would love to hear your ideas, suggestions and thoughts. regarding a suggestion for a simple plant oil stove. thank you and bless you for what you are doing. consider a device to make pellets from oil and whatever other available materials - any combination that will burn in your already excellent and very economical TLUD wood gas stove. 100% oil burning is certainly very clean and simple and good to have in the home, and your plant oil stove is important, but in the meantime people cook with oil now, and is this not going to waste?